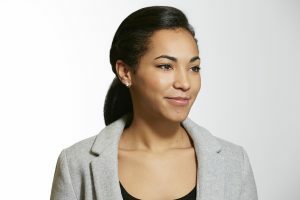 Jada Culver is currently an account researcher in New York City at the Brunswick Group, an advisory firm on business-critical issues. During a summer internship with the Brunswick Group, she became exposed to the world of financial communication and began to realize the importance of the firm’s work. With her newfound knowledge, Culver set out to develop a strategic communication mindset and gain a better understanding of today’s business model. Culver said the decisions she made while at The University of Alabama greatly contributed to her professional success. “The job I have now is 100 percent [due to] getting involved, meeting the right people… and having professors and faculty support me on along the way,” Culver said. At UA, Culver majored in public relations and was involved in Capstone Agency and the Public Relations Student Society of America. Culver said both organizations provided her with the writing skills she needed along with a network full of connections to land her dream job. Culver also emphasized that none of her accomplishments would have been possible without the help of the amazing A+PR staff. Culver said Tracy Sims, Teri Henley and former UA professor Toby Hopp served as her support system. Culver advises current students to take a chance at every opportunity and never be afraid to venture out. In the future, she plans to continue to push herself professionally all while achieving her personal aspirations.